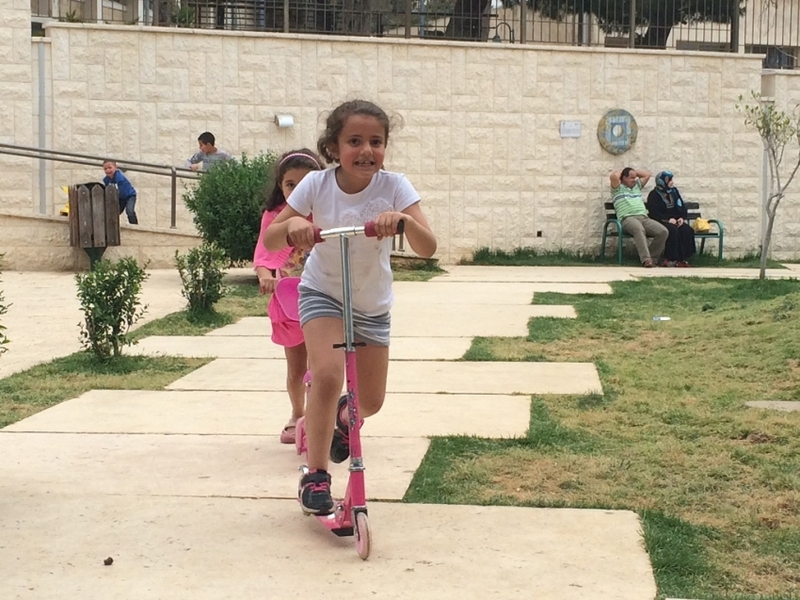 Ramallah - Two girls playing in one of the many public gardens established by the Municipality for families and children. Like in all Palestinian cities and towns, Israeli restrictions have limited people's access to natural forests, the sea, and many archaeological and recreational spaces in historic Palestine. Cities now look inwards to provide needed spaces for people to breathe.